The results are in. At long last, race fans will finally have a way to directly compare the speeds of Formula One cars against IndyCars. As IndyCar’s first testing sessions come to a close at Circuit of the Americas, it seems like as good a time as any to see how these two open wheel series compare. 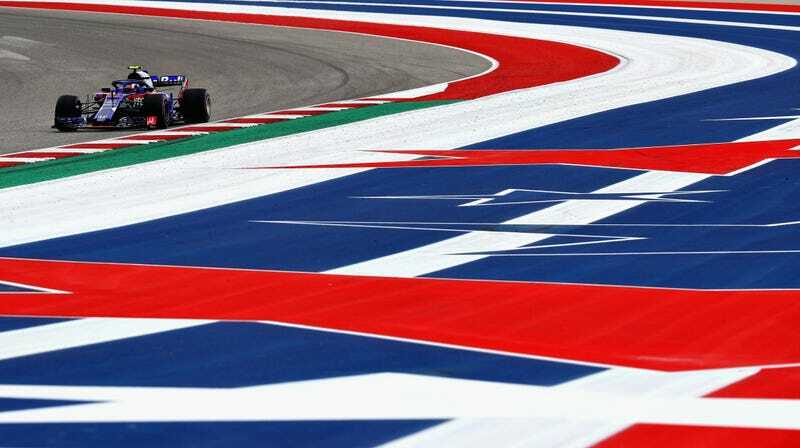 One of the big arguments as to why IndyCar wouldn’t race at COTA was, for a while, that it would show how much slower IndyCars were than F1 cars, thus making IndyCar look like a foolish, small potatoes series next to the grandiose international series that is Formula One. I, personally, have always found that argument silly—both series are designed for different purposes and race on different tracks. Each series uses its own technology—hell, IndyCar doesn’t even have power steering like F1 does. There’s no reason why they should even need to have comparable speeds, but alas. I cannot speak for the Internet. Instead, I’ll let these numbers speak for themselves. Let’s start with F1. Lewis Hamilton is currently the record-holder at COTA. During the 2018 qualifying session for the US Grand Prix, he set a fastest lap of 1:32.237. That’s nothing to shake a stick at. Now, onto IndyCar. The fastest lap set during their spring training session was clocked by rookie Colton Herta at 1:46.6258, according to Motorsport.com. For those who are not keen on doing math on a Wednesday morning, that’s about a fourteen second difference. It’ll take some time before we get a really accurate comparison between lap times—this is, after all, just a training session to familiarize IndyCar drivers with the track. We’ll likely see a more accurate representation of exactly how fast those cars can go during IndyCar’s own qualifying session at the race in March. I’ll go ahead and repeat this one for the people in the back: this comparison isn’t to pit one series against the other. They’re two different categories of racing, and it would be disingenuous to do so. It’s just a way to check out the differences because it’s been such a huge talking point. But put Lewis Hamilton in an IndyCar and send him around COTA... then we’ll talk.